Are you from out of town or state? Finding a reputable company to work with can be very challenging if you're not from Elizabeth. However the task may be more daunting when you're not familiar with the local tow truck company. If you need to bring your vehicle back home (even if home is far away), then we've got you covered. ​It really doesn't matter where your vehicle needs to be transported to. Our tow trucks are designed to haul your vehicle away to long distances. 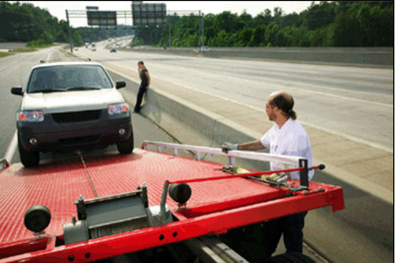 Elizabeth Tow Truck provides a professional towing experience. Our tow truck drivers are very courteous and friendly. So if you're looking for a comfortable towing experience, we're your company. If you're curious to know what others think about our services, then just take a look at our reviews on Yelp, Facebook or Google. Our long distance towing rates are honest and affordable. We certainly don't have the highest long distance tow cost, but we also don't provide the cheap tow truck services either. We only provide an accurate towing price.